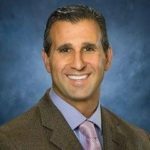 Back to PA: Alex Michaels was named president of Discover Lehigh Valley replacing Michael Stershic who retires at year’s end. Michaels previously worked at Walt Disney World in Orlando and at convention and visitors bureaus in Daytona and Jacksonville, Fla., and most recently, as vice president of sales and services at Visit Virginia’s Blue Ridge. 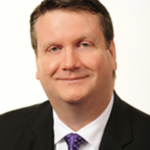 Promotion: In upstate New York, the 1000 Islands International Tourism Council board of directors has selected Corey Fram to succeed longtime Director of Tourism Gary DeYoung. Fram has overseen the council’s tourism promotion efforts as marketing and communications manager since 2008. DeYoung, who took the position in 1997, is retiring. New boss: With the retirement of Rossi Ralenkotter following 46 years (!) 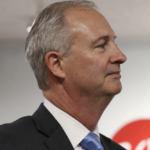 at the Las Vegas Convention & Visitors Authority, Steve Hill took over in August as CEO. Hill outlined six goals to the board of directors, including increased digital investment, virtual reality messaging and new messaging channels. 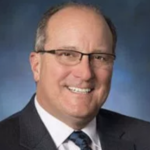 Getting more time off: Gary Oster is retiring from his post as EVP-Member Services at U.S. Travel Association. Oster has been managing Project:Time Off, a research-driven initiative to highlight personal, business, social, and economic benefits when Americans take full advantage of travel during earned vacation time. Charleston, SC was named the No. 1 travel destination among small U.S. cities (under one million population) by readers of Condé Nast Traveler for the eighth year in a row. Big cities? Chicago ranked first. Nearly half a million survey responses were gathered. The full list is found here. The International Gay & Lesbian Travel Association has announced its new global partnership with VisitDallas. As an IGLTA Global Partner, VisitDallas will have increased engagement with the association’s members and receive added visibility from the association to showcase the destination’s progressive offerings to LGBTQ travelers. 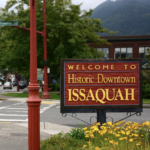 New DMO: Seventeen miles east of Seattle, the Issaquah City Council voted to endorse the bylaws, creating the tourism destination organization, Visit Issaquah, in the State of Washington as a nonprofit organization apart from the chamber of commerce. Did you know? 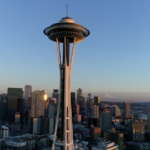 The Seattle Space Needle has had a $100 million makeover featuring the world’s first and only revolving glass floor. Walls and barriers were removed, replaced with structural glass revealing a dramatically expanded panorama. Open-air glass panels dip out at a 14-degree angle without seams, leaving nothing but air between visitors and dramatic Puget Sound views. The re-imagined 1962 attraction received international attention, winning top award for technical innovation at this month’s Annual World Federation of Great Towers. 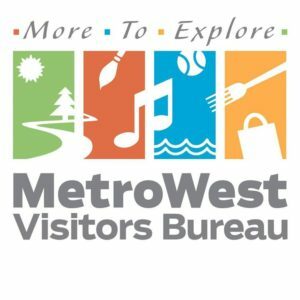 The Great Rivers & Routes Tourism Bureau (formerly known as the Alton Regional CVB) has launched a new website showcasing 50-plus cities throughout Madison, Jersey, Calhoun and Macoupin counties. RiversandRoutes.com, offers fresh visuals and stories about the only place in the U.S. where the Mother Road, Route 66, meets the Great River Road, said Brett Stawar, bureau president and CEO. What’s #SQ22 and why is it trending? 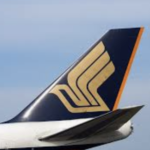 It’s the world’s longest nonstop commercial flight by Singapore Airlines‘ new fuel-efficient, ultra-long range Airbus A350-900, which just traveled 10,377 miles from Singapore to New York (EWR) in 17.5 hours. Want to hear more? Onboard to experience the return flight was NYC & Company’s @HeywoodChris, to open the DMO’s brand new Singapore office. South Padre Island is seeking a CVB/DMO Director who will lead the Convention and Visitors Bureau; responsible for management, organizational development, planning and direction of the department. The position reports to the city manager. Rocky Mountain high. 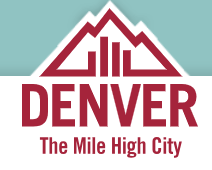 Great opportunity for the right person; Visit Denver wants a savvy Digital Marketing Manager. Feeling passionate about the great outdoors? Deseret Digital Media is searching for a general manager with 8-10 years’ experience in the travel industry, marketing, sales, business management (or anything that’s somewhat related) for Utah.com. 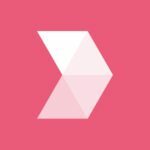 Discover Los Angeles has an opening for Manager, International Communications to oversee the work of key international PR agency partners for the DMO. Read more online; cover letter and resume to hr@latourism.org. Love the beaches and proximity to NYC? Discover Long Island (NY) is looking to hire a Digital Media and Design Strategist reporting to the VP-Marketing. 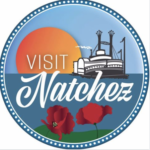 VisitNatchez & Natchez Convention Promotion Commission in Mississippi is looking for an entry level marketing assistant for the creation and implementation of a comprehensive marketing, communications, and public relations strategy and program. Go join the awesome team at CrowdRiff in Toronto. 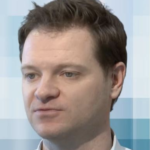 They have two openings in Product Marketing, including Content and Demand Generation roles. Reach out if you’re interested, share with anyone you think is a good fit or contact Amrita Gurney. Read more at CrowdRiff.com/careers. Want to work at Facebook? They want a Head of Global Community & Media Director for a new team building blockchain technologies. It’s a small, but talented group of people at Facebook HQ in Menlo Park, California. 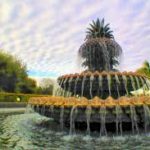 In Los Angeles or Menlo Park, openings are for Video Content Planning & Strategy, Media Partnerships and Product Marketing Communications Manager, Video. Travelzoo is looking for a Content and Client Associate with experience in online marketing, digital media, or PR in the fields of travel, tourism, hospitality, or related. Based in the L.A. office. Sojern’s New York office is searching for a Global Commercial Director for Adphorus, a travel marketing science company that’s an official Facebook & Instagram Marketing Partner serving top global brands, including, Expedia, Trivago, and Kayak. There’s also a need for a Growth Marketing Manager and a Senior Travel Data Analyst in the San Francisco office and other opportunities. 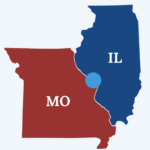 MMGY in Kansas City requires a media buyer responsible for managing integrated media buys across a portfolio of hotel and destination accounts. Looking for strong computer skills and at least two years’ media buying experience. 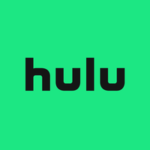 Two jobs in marketing at Hulu are based in sunny Santa Monica: SEO Product Marketing Manager and Content Marketing Analyst. Brookfield Properties Retail Group, with 163 locations across 42 states, is searching for a VP-Marketing – Tourism (based in L.A.) for its shopping malls in tourist destinations such as Las Vegas and Hawaii.